To understand the basic steps and frameworks for creating a social media strategy that supports a JA Office program or communications goal. I used a newly revamped version of the social media game that fits the learning objectives. 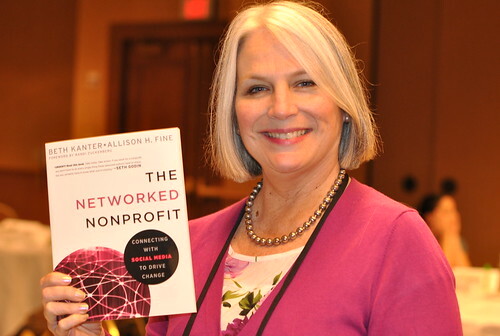 Participants also got a copy of The Networked Nonprofit as part of the materials. This interactive workshop was a wide mix of perspectives – from senior management to education directors to development directors. We had a range of attitudes about the value of social media. This mix lead to a very rich and productive session. Here’s a few insights. One of the common things I hear when teach workshops on social media is “We don’t have the time.” We make the point in the book that if nonprofits make the shift from scarcity to abundance thinking – they will be able to leverage their networks. Amy Boroff (@njdevmgr), development manager for Junior Achievement of NJ in Princeton, shared a wonderful story about her JA office discovered this in the video above. 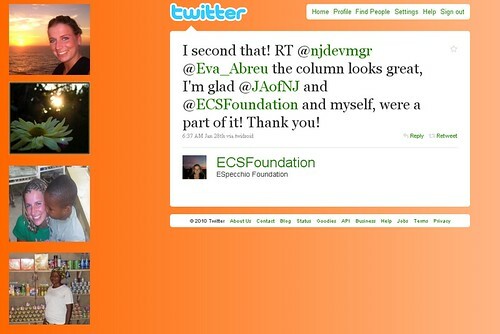 They had started using Twitter about six months ago and found one of her new Twitter followers was Kate Specchio (@ecsfoundation), co-founder of Morris County-based The Emily C. Specchio Foundation. Through their conversation on Twitter, Amy recognized the potential for working together. They continued to communicate on Twitter in real-time, after working hours, to learn more about each respective organization. After several weeks, JANJ submitted a proposal to ECS for funding for an inaugural event: the Women’s Future Leadership Forum. The ECS Foundation accepted the proposal and granted funds to help support aspiring female high school students become future leaders. Deborah L. Dalton who works with the Louisville, KY JA Office mentioned her organization reached out to the local Social Media Club to recruit a board member. They were lucky enough to have Jason Falls help them out. I know it hard to think about “adding on” social media to the to do list. But reframe it. Think of opening up to the abundance of working in a networked way. Do you have a story about how your organization made that shift?